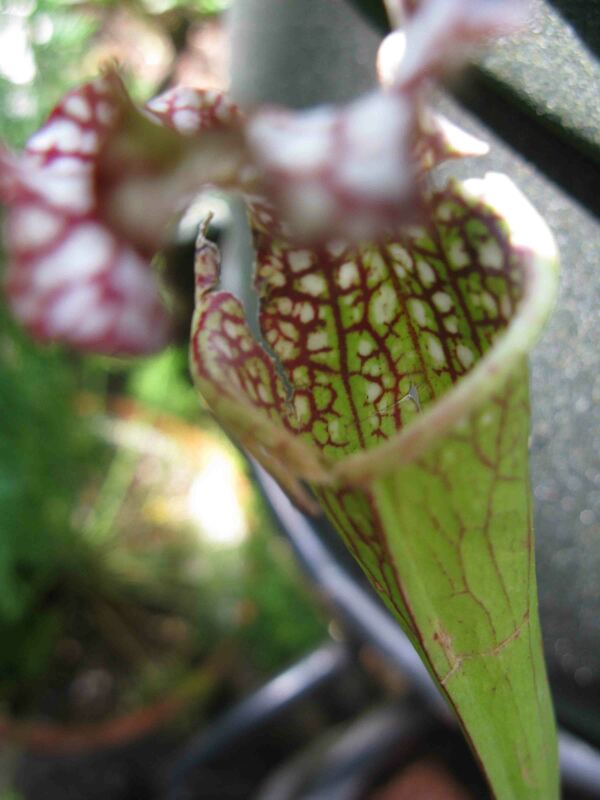 In which The Gay Recluse introduces the pitcher plants. 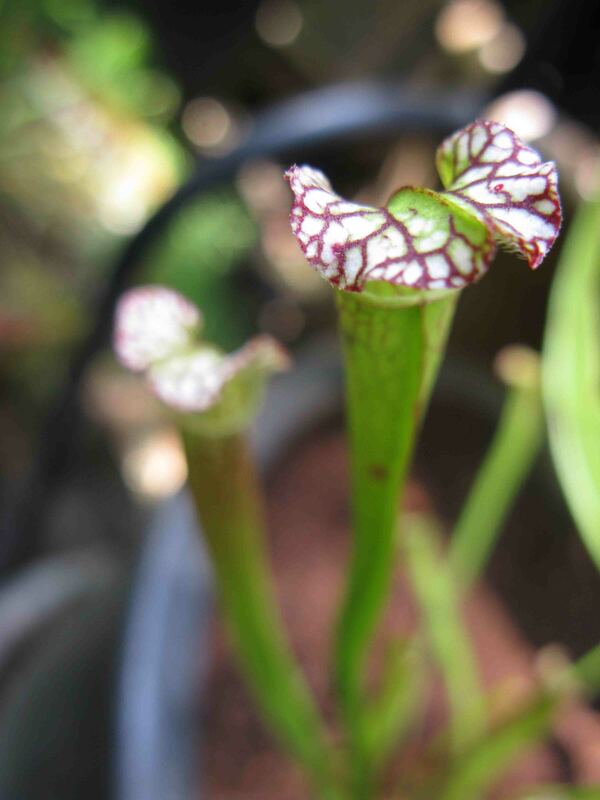 This is the first year for our new pitcher plants (Sarracenia). Flies, we have one message for you: beware! 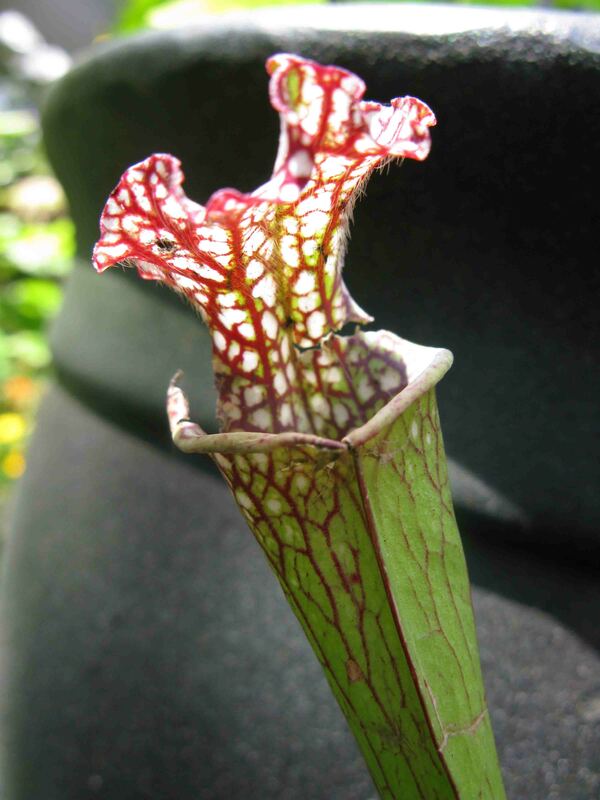 The pitcher plant will eat you for breakfast, lunch and dinner.